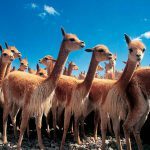 DESCRIPTION OF THE TOUR 20 DAYS AND 19 NIGHTS: LIMA-ISLANDS-PARACAS BALLESTAS-NAZCA-AREQUIPA-CANYON-LAKE OF QOLCA TITICACA-2 DAYS IN CUSCO-SACRED VALLEY-MACHU PICCHU-PUERTO MALDONADO-LIMA-PACHACAMAC. 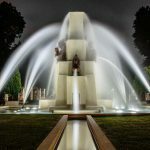 After stepping on Peruvian soil our staff will welcome you at Jorge Chavez airport in Lima and transfer to hotel. After a rest at a designated time, the transfer to the Lordship of Sulco Restaurant, where they will receive a class of Peruvian cuisine, the chef will prepare three dishes representing the cuisine (case filled with chicken, fish ceviche and lomo saltado) in which a brief explanation of the inputs used, cooking techniques for preparing and decorating the plate. Then enjoy a welcome buffet lunch and rest at night in hotel. 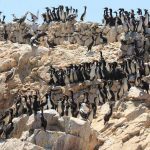 DAY 2 - Tour to the "Islas Ballestas" and "Reserva de Paracas"
After our breakfast, we travel to the port of Paracas, where we started the tour to the Ballestas Islands passing through “The Chandelier” a giant picture on the side of a hill.On arrival at the Ballestas Islands we will visit the islands for two hours, watching the different species of sea lions, seals, penguins and guano birds. After arriving at the port will make the tour to the Paracas reserve. In the afternoon we head to the bus station in the city of Paracas to take their bus to the city of Nazca trip usually lasts three hours, and in Nazca our staff will be waiting to transfer you to your hotel. On the morning with breakfast, transfer to Nazca Airport for a flight over 45 minutes on the Pampas of Nazca, where the ancient pre-Inca drew huge figures of animals and plants, so undiscovered, many believe that these figures were throw by extraterrestrials, among which are the monkey, a spider, a hummingbird, etc. 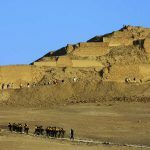 .. Then he will visit the “Cemetery of Chauchillas.” Then at 14:30hrs hours were transferred to the Nazca bus station to make their way back to Lima, where our staff will be waiting to welcome them and bring them to your hotel. After taking breakfast in the hotel’s staff moved to the Lima airport to board your flight to the city of Arequipa in the early morning or evening flight takes 80 minutes, where our staff waiting for you and the transferred the hotel of your choice in Arequipa. 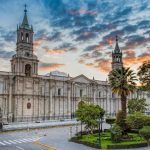 In the afternoon we tour the “White City” including the Convento de Santa Catalina, undoubtedly the gem of Arequipa, finally opened to the public in 1970, after having been for 400 years in prison, with countless colonial art pieces. Also, visit the main square, the cloisters of the Jesuit Order and the neighborhoods of Cayma and Yanahuara, with a magnificent view of the volcano El Misti, and visit a traditional colonial house called the Mansion of the Founder. Early morning departure by bus towards the Colca Canyon, past the foot of the volcano Chachani. 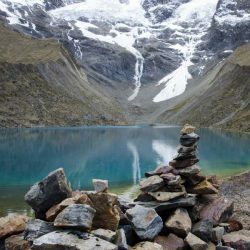 During the trip, the ride through the pampas and Horsemen Cañahuas where are Vicuña National Reserve and Vizcachani, La Pulpera, Callalli, Tuti Sibayo and Villages.Reach an altitude of 4,000 meters above sea level where the flora and fauna will appreciate the beautiful natural lakes and Sea Bofedales Caught with giant rocks shaped castillos.A five in the afternoon arrival at Chivay Colca Valley.Accommodation in Valle del Colca. In the morning, heading towards the “Cruz del Condor, where the canyon begins to appreciate as its depth. From this point we can also see the condor in the wild. 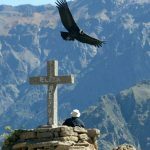 After a brief stop at the “Cruz del Condor”, we will continue our journey through the Colca Canyon admiring the small towns of Pinchocclo, Madrigal, Lari, Maca, Achozen, Yanque, etc then return to Arequipa to rest. 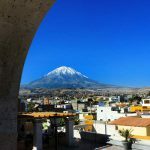 After breakfast, you will have the morning off so they can visit the city of Arequipa on your own, you may visit the district of Cayman, the Mirador de Sachaca, Sabandia Mill and end their visit in the district of Paucarpata. In the afternoon we will take the bus in about 6 hours to take us to the lakeside city of Puno, where we collected and taken to the hotel. 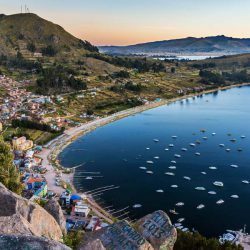 After taking breakfast at the hotel will be transferred to the port of Puno (Lake Titicaca) where they embarked on the boat and then visit the Uros Floating Islands for a period of 45 minutes, to appreciate the customs of this island and crafts. 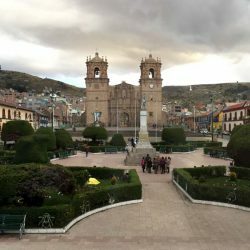 Then move also in boat to visit the Island Taquile of outstanding natural beauty, ethnic, cultural and archaeological heritage, also then return by boat to Puerto de Puno, then collect them and bring them to the hotel or if you wish we can leave in the middle Puno, and finally spend the night in the hotel. DAY 9 - Tourist trip from Puno to Cusco visiting "Raqchi"
Taking a good breakfast, the hotel will pick you up and take you to the bus station of the company that will take on a journey that lasts 8 hours, we will have 4 excursions and visits to places of tourist interest in the corridor south of the plateau, reaching way out of line to 4335 m and the Aymara of Pukara Inca museum, at noon in the city of Sichuan we included in the tour a lunch buffet, there will continue; Each visit lasts 20-40 minutes shortly , visiting the Inca temple of Raqchi, the temple of Andahuaylillas or Sistine Chapel of America, making our trips enjoyable. When you reach the “Cusco” will be waiting to take you to the hotel where you will spend the night. After breakfast at the hotel, you will have the morning free for sightseeing and shopping for crafts and souvenirs in Cusco on your own.After lunch at 14:00hrs will begin the guided tour that includes visiting the center of the ancient city of Cusco, the Plaza de Armas, the Cathedral, the Monastery of Santo Domingo, Koricancha Temple and the nearby ruins of Kenko, Puka Pukara, Tambomachay and the fortress of Sacsayhuaman, built with huge rocks that so far remains an enigma mobilization and use of these, there being no quarries in the area. At 19:00 hrs. if we can see a show of music and dance in the center of Cusco Qosqo Native Art. This day we will tour the Sacred Valley of the Incas tour that started at 8:30 hrs, collected from the hotel to Pisac, which is a typical market, with picturesque cultivated terraces on the mountain. Visit the archaeological site of Pisac. It is also famous for its fairs where you can buy beautiful handicrafts. 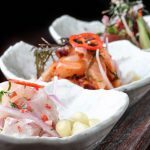 Then we head to Urubamba where we have included a lunch buffet. Then we will go to the Fortress of Ollantaytambo, where descendants of the Incas living in the home of the Incas. Finally we went to Chinchero to see its market and the archaeological group with typical Spanish overlaps the Inca constructions.The tour had just averaging 19:00hrs in the Plaza de Armas of Cusco. Overnight at hotel in Cusco. DAY 12 - Tour to Machupicchu "The lost city of the Incas"
After a good breakfast will pick the hotel and travel to the train station in Cusco to start the excursion to Machu Picchu, the Lost City of the Incas. There will be a trip of 4 hours to reach the tourist town of Aguas Calientes, from there take a bus and in half an hour reach the citadel of Machu Picchu. Then your guide will visit the Inca City from 2-3 hours. Then we have time to go to Aguas Calientes and lunch, visit and take a bath in the medicinal hot springs. Overnight at hotel in Aguas Calientes. After getting up very early and have breakfast, this is already his own, come back up to the Inca citadel of Machu Picchu and we appreciate the spectacular sunrise of this marvel. 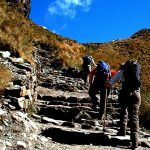 They can then make the trek to the summit of Huayna Picchu this will take about 2 hours round trip. They will have all morning to Machu Picchu to take pictures and be in this mystical place. Then we descend by bus to Aguas Calientes and we will take the train back to Cusco. Arriving as always our staff is waiting and take them to the hotel for the night. After breakfast, you have the day off to visit the city of Cusco, may walk the streets and visit its many museums and colonial churches, owners of priceless treasures (The visits will be made on your own). You can also learn more about its people and customs, and purchase handicrafts and souvenirs. Overnight at hotel in Cusco. You can also optional activities such as visiting South Valley Tour Tipon and Pikillacta or boating on the river Vilcanota. DAY 15 - Flight to Puerto Maldonado and Cusco Tour to Monkey Island. After breakfast in the hotel, transport to the airport for your flight to Puerto Maldonado “Capital of the world’s biodiversity.” Arrival and welcome reception. We started a tour of the city on our bus and then address the Port Captain to board the boat across the Rio Madre de Dios.During the trip, observe the capybara, caiman, turtles, herons, cormorants and other species of animals. Accommodation at the lodge, take an exquisite welcome drink, settle into our bungalows and have lunch. In the afternoon, accompanied by our specialized guide, visit the Monkey Island, 5 minutes from the lodge. 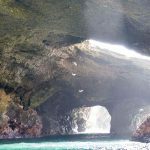 During the walk the extraordinary landscapes and exuberant flora that are home to a variety of monkey species in their natural habitat, as maquisapas, capuchins, lion monkeys, puffins, preserves, and other species like the coati, sloths, among others, and a variety of birds. During the way to the island enjoying the sun being the most impressive sunset of the jungle. Then return to the lodge for dinner and rest. After breakfast, we internment walks to get Lost Cocha, which is an ecosystem of shelter and food for a vast variety of animals. 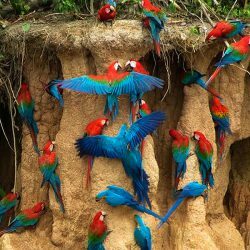 It is possible to observe otters, caimans, turtles, tapirs, birds of multicolor, the majestic jaguar and a variety of fish. This area is unique and remains intact, with large marshes and various aguajales. 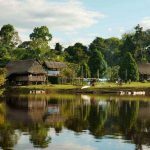 After the extraordinary reach Mirador Amazon where you can appreciate the magic forest and followed by a pleasant canoe ride around the lake. Return to the lodge. Lunch. In the afternoon we offer an optional visit botanical garden. If you’d rather relax by the pool offer Amazon. Then return to the lodge for dinner and rest. After breakfast, when determinations are made another trip through the Amazon jungle, sailing down the river Madre de Dios, then walking towards the river Gamitana, its origins lie in the womb of the virgin forest, where extensive travel is We return waterways by canoe, appreciating very closely the flora and fauna such as turtles, alligators, birds and a variety of insects, we can also go fishing and a swim in the river, relaxing, rest at night our hostel. After breakfast, he moved to Puerto Maldonado airport so you can board your flight to Lima, the trip takes about two hours and will be held in the morning, in Lima, our staff will be waiting to take you to your hotel in Lima, afternoon after a rest will do the City Tour, visit the most interesting places of the “City of Kings”: the Cathedral, Pizarro’s Tomb, the Catacombs of San Francisco, through the Congress, the Palacio de Torre Tagle. 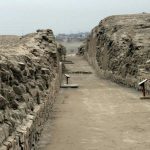 Then visit Orrantia residential areas, San Isidro, Miraflores where we visit the ruins of Huaca Pucllana newly laid in value. Barranco, where you will enjoy a spectacular view of the Pacific Ocean. Overnight at hotel in Lima. 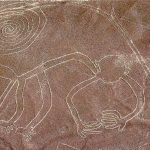 After breakfast, we will pick at 09:00 hrs in your hotel for the Sanctuary and Oracle of Pachacamac God or “God the Creator of the World.” Located 31 km south of Lima. Sacred place of pilgrimage and ancestor worship, which emphasizes the Site Museum, The Pyramid Set, Temples and palaces of culture Pre-Inca and Inca. The mysterious Temples of the Sun and the Moon, a place that would shelter the Virgins of the Sun All this is accompanied by an overview of the various faces of the city and the expansion of it, through space and time as seen on the route along the beaches of Costa Verde and the Salto del Fraile, the nature of the Villa Wetlands (variety of birds especially in the summer) and picturesque surrounding neighborhoods. Then you have the afternoon off and relax at night in his hotel Lima. 1 Air Ticket Cusco-Puerto Maldonado. 1 Air Ticket Puerto Maldonado-Lima. 03 buffet lunch in Urubamba, Lake Titicaca and Sichuan.